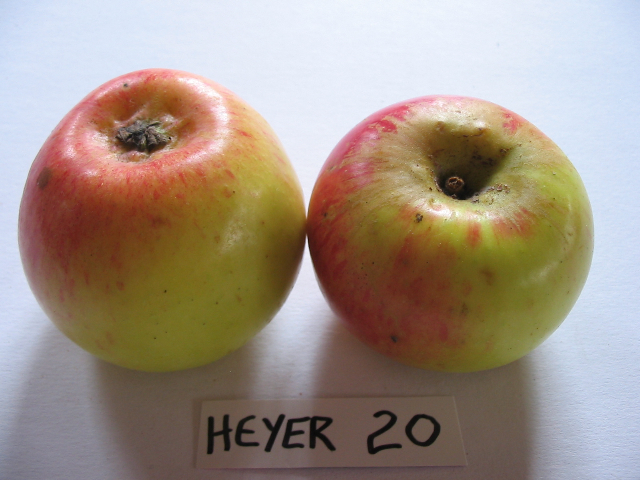 This is a Russian apple seedling that was introduced by Adolph Heyer in Neville, Saskatchewan, 1936. Recommended for dessert (fresh eating) and pies. The flesh is juicy and moderately acid, coarse, firm but not crisp. It has a surprisingly subtle flavor that is mild with a hint of tart aftertaste. Stores for 2-3 weeks under ideal conditions. The tree is extremely hardy.